Researching Reality Internship is for college students and researchers who wish to apply social and economic principles to real-life problems through in-depth research projects. It provides interns with valuable training in areas of research, analysis, writing, and above all critical thinking. Applications are open to all researchers, college going students (both graduate and post graduate), recent graduates, and IB students in 11th and 12th standard. International, as well as domestic applications, are welcome. 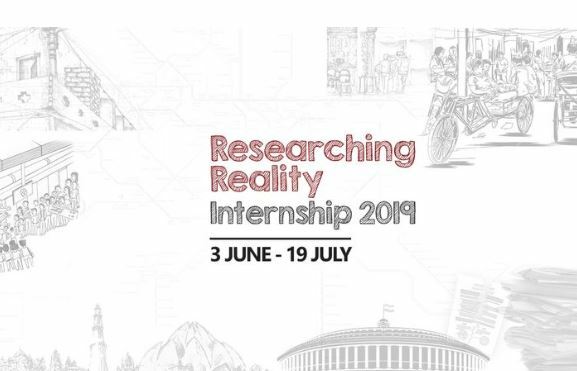 There is no fee for participating in the Researching Reality Internship. However, interns must make their own living arrangements and must cover their own travel and living expenses. There is no stipend provided to interns. As mentioned above, interns are required to make their own arrangements for travel & accommodation. The organiser can provide you with suggestions for finding accommodation in Delhi. * Plagiarisation WILL NOT be tolerated, plagiarised essays will be rejected immediately. For any queries, contact Sampurna Khasnabis: sampurna@ccs.in.